Задача: To create an audio visual show that is projected in a huge underground stone quarry onto multiple surfaces including the walls, ceilings and even the ground. 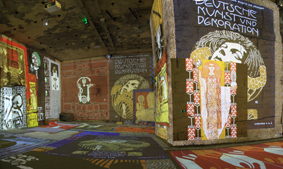 Решение: Culturespaces selected a range of Optoma projectors to create an impressive audio visual show at Carrières de Lumières. Over 60 Optoma projectors were chosen due to their reliability, colour performance, high brightness, and excellent price/quality ratio. Результаты: Carrieres de Lumières in Les Baux-de-Provence, France, has been transformed into a backdrop for a stunning audio visual show. 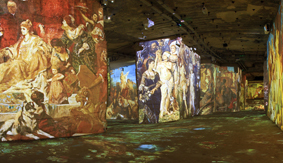 The show comprises thousands of digitised images of works of art that are projected onto all the former quarry’s surfaces, moving to the rhythm of a musical soundtrack. 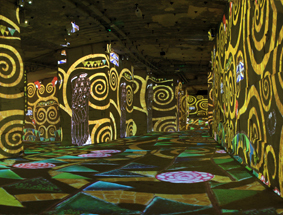 Fully immersed in image and sound, visitors can enjoy a unique sensory experience as they explore the image-rich universes of major painters in the history of art.